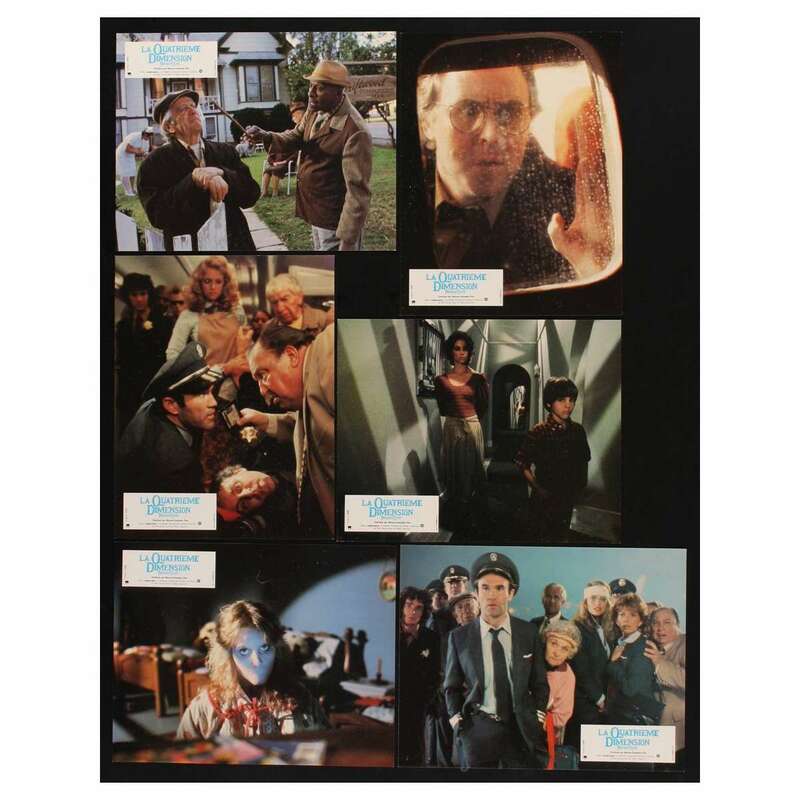 > Lobby Cards and Photos>Lobby Cards>TWILIGHT ZONE 12 French LCs 1983 Steven Spielberg, Dan Akroyd, Albert Brooks, John Lithgow! 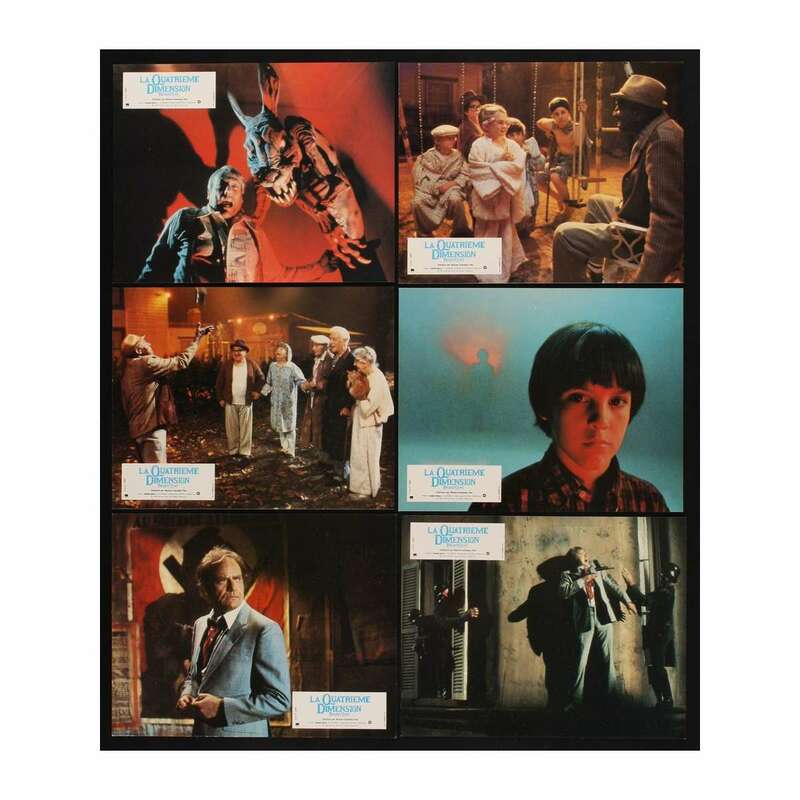 TWILIGHT ZONE 12 French LCs 1983 Steven Spielberg, Dan Akroyd, Albert Brooks, John Lithgow! 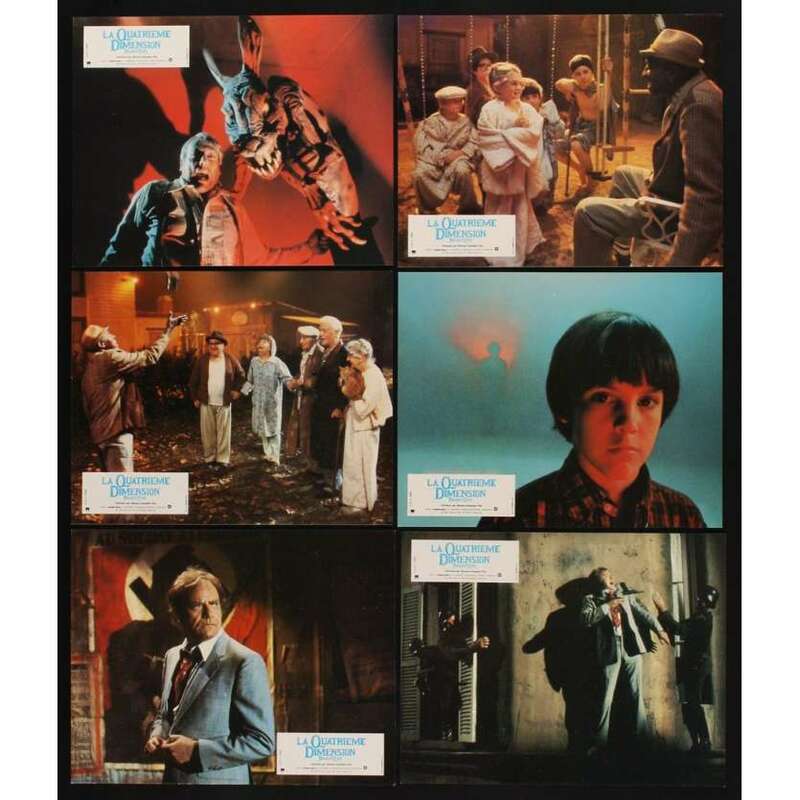 12 Original Vintage Theater-Used French Movie Lobby Cards (LCs; measure 8 1/4" x 10 3/4" [21 x 27 cm]) Condition: Very Good to Excellent (C7) See our 10 GRADE SYSTEM Page for more information. Twilight Zone: The Movie is a 1983 science fiction horror film directed by John Landis, Steven Spielberg, Joe Dante and George Miller. and starring Dan Aykroyd. It is a theatrical version of TV '60s series The Twilight Zone, and presents four episodes, each one being directed by each of the 4 directors. Overall Condition: very good to fine.